Typing this after a long gap. Ah well let us just spare the explaining this time around and get on with the music. Here are a few brand new tracks that might as well escaped your notice. Their EP ‘Being’ came like an asteroid crash. An unrelenting barrage of heaviness and yet pretty enjoyable. Genre wise, Aegaeon lies somewhere between Deathcore and Death metal. But i find them to be more death metal than anything else. That said much like their contemporaries the brilliant Fallujah, they come off as extremely proficient on their instruments. With the latest single, Neural Union, they seem to have taken a more progressive route, much like Fallujah again. Dissonant melodies slide over constantly churning riffs. Cheggit! If you have a leaning towards the Shades of God- Gothic era Paradise Lost, then this will be a treat. This Spanish duo belts out some great melodies on their first single “Memories of the Future“. The track comes off their debut release, titled “Shadows of Life” released via FDA Rekotz. The name suggests some cheesy pop punk,. But it is not to be, what you have here is morbid blackened thrash. There is a greater emphasis on melody and atmosphere which is pretty uncommon in thrash. Definitely influenced by the likes of Celtic Frost and early day Sodom, they sound scathing with a smattering of all things sinister. 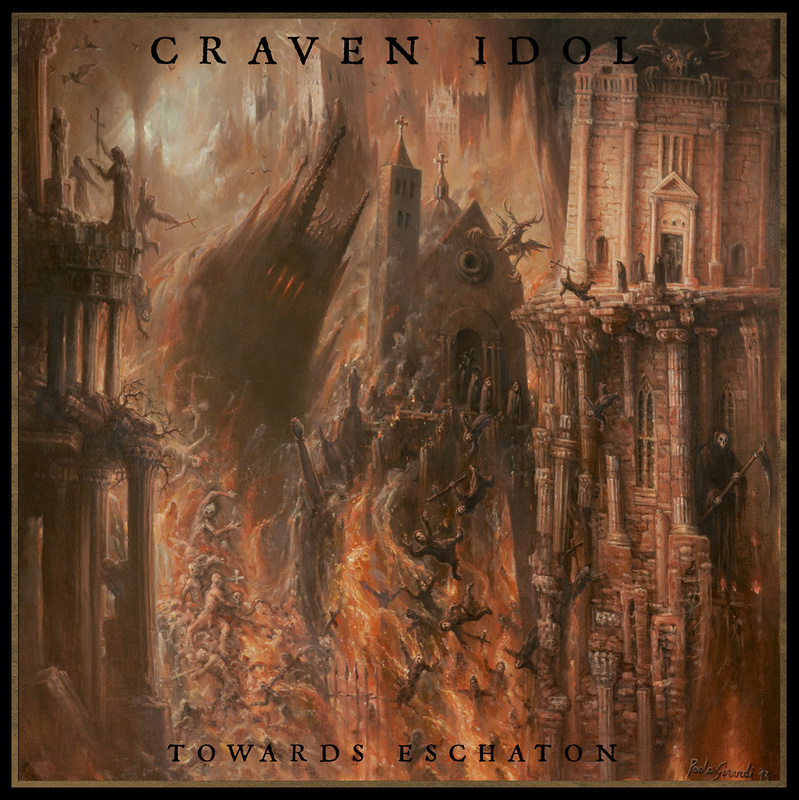 All this can be imbibed from the their first track release titled “To Summon Maryion“, coming off Craven Idol‘s debut full length Towards Eschaton. It is to be released via the revered Dark Descent. Oh yes and did i mention that it’s Paolo Girardi‘s majestic artwork? If you consider yourself to be in a rather cheerful mood after all that, then this will seek to enervate. Be wary my friend. Sombres Forets, “Dark Forests” in French, stays true to its title. Dark forests have forever been the imagery of depressive black metal. The foreboding and eerie atmosphere that the term conjures is perfectly dwelt upon this new track Entrangleur de Soleils. The pain emoted vocals further add to the despondent aura. The track comes off their third full length titled La Mort du Soleil, released via Sepulchral Productions.